Neighbors helping Neighbors was a proud tradition in Southern Appalachia. 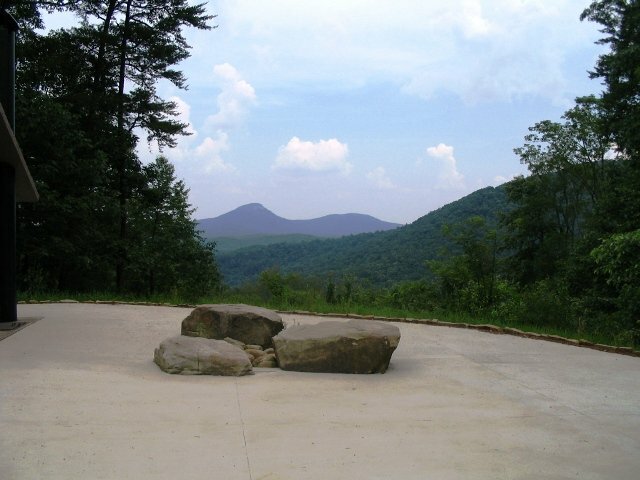 Mountain communities were proud of taking care of their own. Then in the hard times came a sense of hopelessness for many and a feeling that people needed to look to the outside, to the government or some similar source for help. Caring Hands Ministries is helping to restore the tradition of self reliance for individuals, families, and for our communities with homegrown solutions that encourage people to help themselves and their neighbors. Eggs - a local egg grower shared the eggs that were not suitable for the hatchery. This was a wonderful source of protein especially for our senior citizens. Unfortunately this is on hold right now because the hatchery company has objected even though they do not want these eggs. We are working to show them the good samaritian laws and the benefits of helping. Food Sharing Groups informal work place, neighborhood, and church groups come together to share what they have and to share in the cost of getting food though foodbank and similar resources. This is not a coop buying program in that there is no fixed amount or price countribution and group members look after one another even if one can not help with costs at some given time. They are neighbors helping neighbors knowing their neighbors will help them when they have a need. Extra Rows People with gardens are encouraged to plant and share extra. 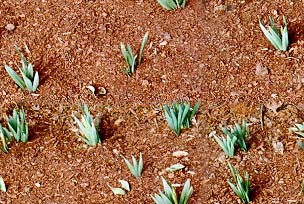 People who have not gardened are helped by those with more experience. There is an emphasis on though not a requirement for organic gardening and growing methods that work with the land and not against it. In an area like this with no public transportation a vehicle can make the difference between dependency and self sufficiency. A local car dealer helped us start the program by donating first one vehicle then a second one to allow 2 families to work. One of these families was a young mom who was also raising her sisters children. Lack of a vehicle kept her and the children trapped in an abusive situation that also exposed the children to substance. A van gave her the freedom to build a new safe life. Cars for independence also provides help with minor repairs to help a working family remain self sufficient or a disabled person have access to necessary services. We haven't had that many vehicles donated yet but each one has made a difference for the family who received it. Kids outgrow clothes. That is a basic fact of life. That means almost every child needs clothes especially at the start of school and almost every child is a source of hand-me-downs that can bless other children. Clothes Days are a little like a free yard sale. Any parent or grandparent can come and get what they need for their children. People in the communbity donate,sort, and set up clothes and help welcome everyone who comes. Other agencies and ministries often come too and bring information about their services. Clothes Days started with a 14 yr old who saw a 6 yr old on her schoolbus being teased unmercifully the first day if school because he had on pink flipflops many sizes too big for him. She sat down beside him and asked him why he wore them. He had come to stay with grandma during the summer and didn't bring any shoes. Grandma was struggling to feed him and his younger brother and didn't have money to buy shoes. She gave him the only shoes of hers he could possibly keep on his feet so he could go to school. The 14 yr old and her friends took their lunch money for the week and bought him shoes. She asked if we could help too. The next year we learned that the school programs designed to help homeless children with things like clothes receive no funding till late October or November every year even though school starts in August. Before we started Clothes Days we were flooded with calls for emergency help each year the month after school started. We could not meet all those needs but the community working together has created a solution that prevents those emergencies. 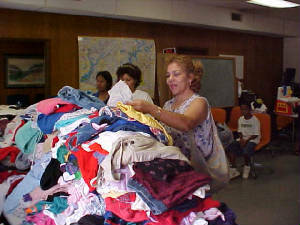 In 2006 clothes donations were so abundant that the leftovers (over 900 lb of clothes) enables a church in one of the poorest parts of the area to start an ongoing clothes help ministry. One of the volunteers who came to help take clothes to that ministry was a lady around 60 who had just gotten an apartment in public housing after years of homelessness. Someone had donated sheets and a quilt and strangely no one took them Clothes Day. She held them in her arms and cried saying it was the first time she could remember having sheets all her own. Clothes Days are mostly for kids but every year some older folks come and there are always some pretty church dresses and shoes for them. It seems like the Lord knows who will come and what they need. The Community Christmas Dinner is about more than just the food, toys and clothes on Christmas Day. It is the catalyst that brings together diverse elements in the community to work on lasting solutions. The Christmas Diner is also an opportunity for people who thought they didn't count to make a difference for others as well as for themselves. Lafaye and Terry Murphy who direct the program have a gift for helping people learn to help and for finding a way to include each one. It would be easier for Lafaye to bake corn bread herself but she takes time to take the "fixings" and even a pan to a shut-in who wants to help but doesn't have the money to contribute any food. She also has a talent for combining the right people so that for example those who thought that all homneless folks were trash get to work under the directiopn of a very talented homeless young man and come to respect him before they know his circumstances. The dinner leads to ongoing relationships between people who would never have connected otherwise. It has truly taken on a life of itsown and become spmething the cmmunity joys in doing. Provided micro mini grants and loans to help people start independent busineses or other money earning projects. One of the first such loans was for the produce to help an underemployed family begin a produce stand selling locally grown vegetables and fruit. Current and upcoming projects include helping someone with a chronic illness start a sales business from which Caring Hands will receive a blessing each time a sale is made and helping to connect a crafts person to an outletb where they can sell. They too will bless the ministry from their sales. Independence Enterprises has a tiny revolving fund (currently less than $200) but it is helping people make a difference for themselves and for our community.